Spring is almost here. The beginnings of warmer weather and the first few brave daffodils are teasing us into a season of new, fresh flavours from greens and baby veg to the best tomatoes and lamb. 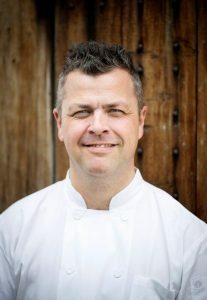 What better time to catch up with our own new addition — executive chef, Allan Pickett — to find out how he is settling in and what he has planned for the coming months. How are you settling in? What’s the most exciting thing about the new job? To be cooking again on a day-to-day basis after taking some time out feels great. The thing about Swan is that it works and it is fantastic to see a business thriving. Then off the back of that, thinking of ways that we can possibly tweak something and make it even better. There is constant renovation here, it is always evolving. It’s nice to be back, I’ve got that glowing feeling in my belly. What kind of ingredients do you like working with? My mum is an avid gardener, she has two allotments and she does lots of foraging. The lanes that go up to her allotments are full of damson trees and she’ll sometimes ring me up to tell me she has got lots of damsons. She’ll say: ‘How many do you want?’ If I said 50 kilos, her and her partner would get 50 kilos! She would be out there all day. It’s brilliant because in this way they can have an influence on the menu and that brings with it a new story. For me it is lovely to have so much contact with Mum, she is always sending me little bunches of rosemary or chive tips or rhubarb — so watch out for those on the menu. Can you give any hints on plans for next season’s menu? The menu is always seasonal anyway, but trying to build on that and make it even more seasonal through things like the specials. I mean if we take produce like asparagus, morels, Jersey Royals and wild garlic, just those four ingredients — put those on a plate and it’s a dish in itself! You have to get your seasons right, if we put Jersey Royals on the menu we have to make sure they will be available in a month and a half, because that’s when the next season’s menu changes. We are always looking to develop our signature dishes too, so watch out for those. What’s your favourite classic on the menu? The fish stew that we do here. There is a lot of work that goes into it, about three days. From marinating the bones for the fish to all the vegetables, mussels and fish and, of course, the bread to mop up the soup with. It’s a labour of love, but it’s completely worth it! 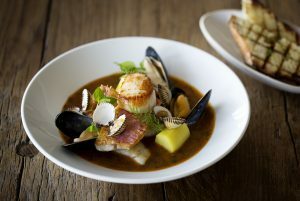 There are not many places that do a fish stew really well, but we do. It is definitely the busiest place I have worked. I am on the steepest learning curve I will ever have, it’s like running a hotel but without the bedrooms: we do breakfast, afternoon tea, lunch etc. We have lots of different spaces, and then there is Swan About, which is the events side too. There is a lot going on and you need a team you can rely on. As soon as the Globe opens, that’s it — there are going to be huge numbers of people. There’s a lot to juggle, but when I have time off I spend it with my family. It’s great to have that flexibility to take the kids to school. When you are not at work, where do you like to eat? I went to Padella last week for lunch on my wife’s birthday and it was amazing. There are only about four or so dishes on the menu, things like burrata with really good olive oil. I also like Trinity in Clapham which is quite relaxed and I love the Galvin restaurants. On my hit list are Gymkhana, Pidgin, Kricket and Cabotte. What do you think we will see in London’s kitchens this year? I think restaurants will continue down the same route and keep things quite simple and stripped back — lots more good value-for-money places, a focus on good ingredients, and probably more bare bricks! It’s fantastic if we can focus on produce that is as local as possible. If we can say these cauliflowers and cabbages are grown in Kent and we know the provenance then customers appreciate it. At Swan we use pheasants and ducks from our owner’s farm in Kent, they are lovely and that’s a story that we like to tell at our table. Do you use Instagram and social media, is it important how dishes look? Instagram is very important for ideas and for showing the world what you do, but what it really comes down to is flavour. There is value in Instagram and other platforms from looking at what other people are doing from a benchmarking point of view and to be on-trend. Look at the guys from Symmetry Breakfast, what a great idea! 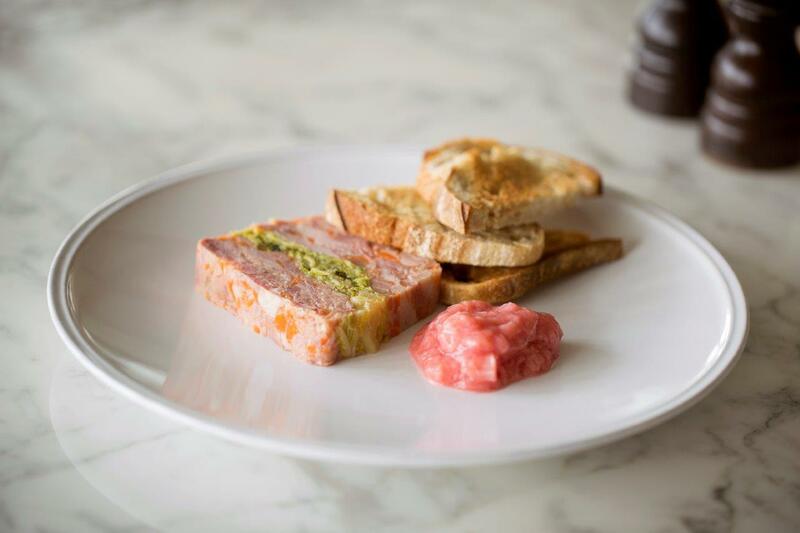 As a chef, it is always nice to have a dish that people come for because they can’t get the same thing everywhere else and then you see it spread and other places do it which makes you smile. But really it’s about having a great product. I am always pulling dishes apart and tasting them again to make sure they have enough seasoning and the ingredients are working together the way they should.